There is a man in China named Bo Xilai who is inadvertently making social media history. 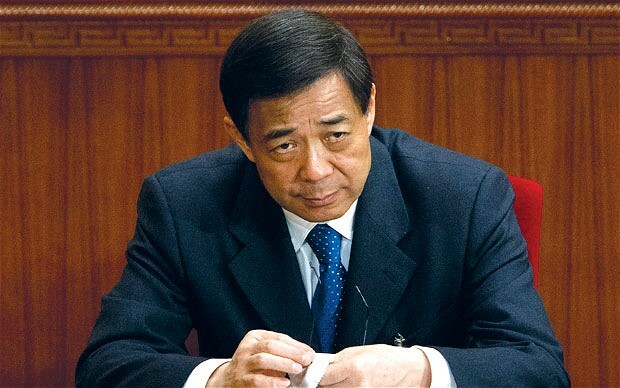 Xilai was considered top of the political dogpile, heir apparent to the apex of the nation’s most elite politicos. Now, as it happens so often in politics, he’s been charged with bribery, embezzlement, and abuse of power. What makes it all so striking is that his wife, Gu Kailai, was convicted last year of murdering a British businessman in a case that started Bo’s downfall. So we start off with a rough and juicy political drama and then add social media. This is where it really becomes interesting. As we all know, China is not the most open of societies. Controversy and government censorship make up the foundation in which Chinese social media is embedded, a fact that has caused a public stir on many occasions. It was not all that long ago that Google was being forced to make concessions in order to operate there. Even in the inventive annals of Chinese propaganda, it was a first: show trial by microblog. When Bo Xilai, the politician whose fall convulsed the Communist Party, stood trial on Thursday, the government took the unprecedented step of reporting the proceedings to a nationwide audience of many millions over China’s equivalent of Twitter. The court, in eastern China, reported the day’s developments on Sina.com’s Weibo service, a popular microblog platform similar to Twitter. The reports, quotes and pictures that emerged in fits and starts from the courtroom drew riveted attention from the Chinese, testament to the public’s fascination with Mr. Bo and to the power of the Chinese Internet. In recent decades, trials of former senior officials have mostly been muted in secrecy, often until hearings ended and state news media showed the officials making tearful confessions. The Chinese government seems to have always viewed the Internet as a tool to monitor dialogue and a new channel for dispensing the party line. This is a new frontier in a nation whose populace is so jaded by the state-run news media. With nearly 600 million officially registered Internet users, China represents a bag full of cats for those tasked with monitoring and containing information. Weibo, the platform used to share the trial, is Twitter analogue. The largest of China’s microblog services, it boasted over 500 million registered users at the end of 2012, according to Sina.com. The same source says approximately 46 million people use the service every day. ‘After reading the whole transcript of the trial, I realized that the prosecutors actually failed to offer direct proofs of Bo taking bribes. Instead, they talked a bunch of issues that don’t really have much to do with the accusations,’ wrote Yuxin. Still, many supporters on Weibo applauded Bo’s tenure as mayor of Chongqing, where he made his name as an anti-graft crusader. ‘You (referring to Bo) will always remain a great secretary in the eyes of Chongqing people!’ wrote Suzui. Some heralded the live-blogged trial as turning a page for transparency in China; others wondered whether Bo’s defense itself was blessed by the state, as evidenced by the court’s release of his statements. This all occurred last Thursday. By Friday the stream of microblogging had slowed significantly. Since the Chinese courts system only returns “not guilty” verdicts in 0.1% of cases, this is taken by many as a sign of a predetermined verdict.